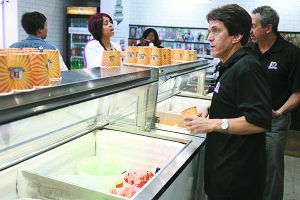 Mitch Albom works at the counter of the Detroit Water Ice Factory. Detroit, a city known for its own iconic foods, is about to get a second dose of delicious, refreshing and iconic desserts — and every dime raised will go to help fellow citizens in the Detroit region. The Detroit Water Ice Factory, which opened its flagship location at 1014 Woodward Ave. in Downtown Detroit in August 2015, will open its second location — a “pop-up experience” at the iconic Franklin Cider Mill, 7460 Franklin Road in Bloomfield Hills, at the end of May. It will remain open through August, after which time the cider mill will resume its normal fall season. The brainchild of author, columnist and philanthropist Mitch Albom, the store follows the “Newman’s Own” model of philanthropy, offering delicious, top-of-the-line food products with the sole goal of raising funds to help others. Besides the newly introduced water ice (an East Coast treat), other offerings include the Motown Twist (water ice in combination with soft serve ice cream), Motown Mash (whipping creams, Cool Whip, chocolate chip cookies and Khalua flavoring), “ice” pudding (rice pudding without the “R” in four different flavors) and Mitch’s “Tofutti Pie” in a cup (the pie version of a former offering at Hogan’s Restaurant). 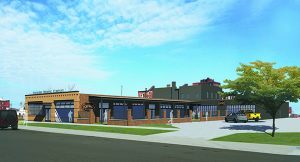 All the profits from the Detroit Water Ice Factory will go to helping Detroit’s neediest citizens under S.A.Y. Detroit’s “umbrella,” which includes a family health clinic, after-school academic enrichment programs and placing deserving families in homes through its Working Homes/Working Families initiative. Stop in to Four Story Burger (209 Hamilton Row, Birmingham) and try the new Cowboy Burger special: A perfectly grilled beef patty topped with bacon, cheddar cheese, BBQ sauce, fried onion rings and served on a Crispelli’s sesame seed bun. This limited-time special will only be served during the month of May, and a portion of the sales will benefit Gleaners Food Bank of Southeastern Michigan. 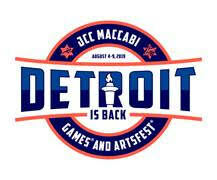 The District Detroit is getting a new tenant. 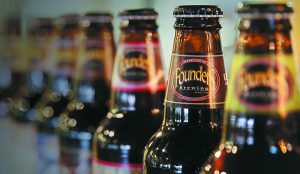 For the first time in its 20-year history, Founders Brewing Co. will open a second taproom. 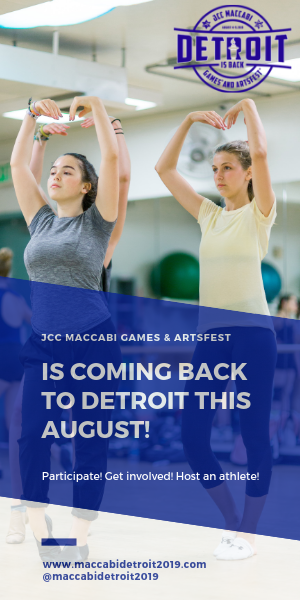 The new facility will feature a fully operational brewery and retail taproom located in the lower Cass Corridor neighborhood in Midtown Detroit. 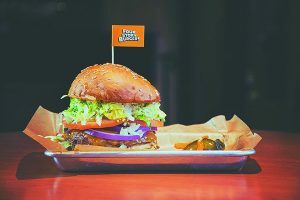 The new location will include a full-service taproom serving unique menu items and locally made Founders beers from the on-site brewery, in addition to the classic Founders lineup. Hiring will begin this summer. The 14,000-square-foot building is located at 456 Charlotte St. and will undergo construction this summer. The grand opening is targeted for winter of 2017. Zingerman’s Creamery announced the debut of the Cream Top Shop, its retail space within the newly upgraded production facility at Airport Plaza in Ann Arbor. Under construction for nine months, the redesigned shop hosted its grand opening last week. Open seven days a week, the Cream Top Shop will showcase Zingerman’s Creamery’s award-winning cheeses, gelato and sorbet — all made onsite. A rotating selection of cheeses from renowned artisan cheesemakers, with a focus on American producers like Vermont’s Jasper Hill and Uplands Cheese of Wisconsin, will also be sold. 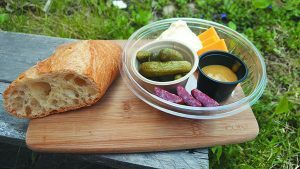 A curated assortment of craft beer and wine, including Michigan favorites like Left Foot Charley and Laurentide, will line the shelves along with provisions: olives, dried fruit, sundae toppings, olive oil and more. “The Cream Top Shop came from all of our hearts. We hope it will be a place for you to come and experience our love for our cheese and gelato manifested,” says Zingerman’s Creamery Managing Partner Aubrey Thomason. The new shop offers an expanded made-to-order menu. Grilled sandwiches featuring Zingerman’s Creamery cheese, like Manchester Cheese & Fig Jam and Fresh Goat Cheese & Mike’s Hot Honey, will be offered daily. Gelato and sorbet will also be a focus. Twelve seasonal and classic Creamery flavors will be hand-dipped year-round for cones, sundaes, malts, shakes and floats. Window seating (with a view into the production space) as well as communal tables in the new community room (where cheese tastings, wine and cheese pairing classes, and more will be offered) will be available to guests who’d like to eat in.